Many of us intuitively feel that reality contains a spiritual dimension hidden from our five senses. For author and channeler Lee Harris, that spiritual dimension became startlingly real one day when he began communicating with what he soon came to call "the Zs," a group of non-physical beings from another plane of reality. At first, Harris dismissed the Zs as figments of his own imagination, but they spoke with such intelligence, wisdom, and compassion that he became convinced of their existence. He learned that they have a message for humanity, with profound insights into the big issues facing all of us: relationships, prosperity, health, self-development, and more. In Energy Speaks, Lee Harris distills these teachings into a concise and practical guide for conscious living. Above all, he shows us that each one of us is an irreplaceable part of something much greater than ourselves, and that help is always available to us from unexpected sources. 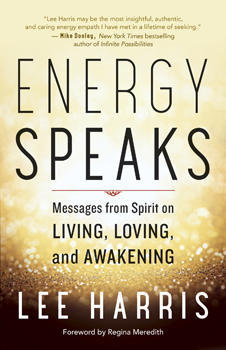 Energy Speaks is a wonderful and rare book from a visionary whose teachings are spreading around the world.